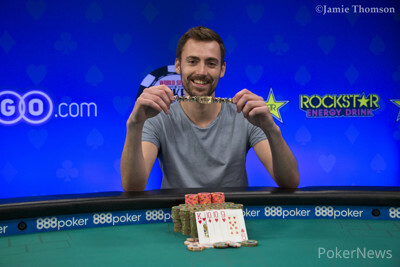 Ronald Keijzer triumphed over a field of 901 entries to take home his first bracelet and a $475,033 payday in Event #69: $3,000 Pot-Limit Omaha 6-Handed. 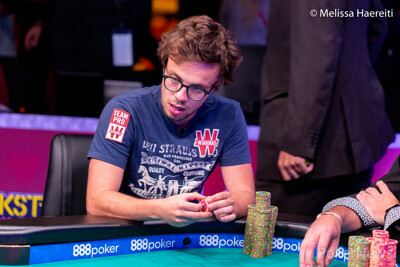 Keijzer, who hails from Amsterdam, is the fifth Dutch player in history to win WSOP gold. 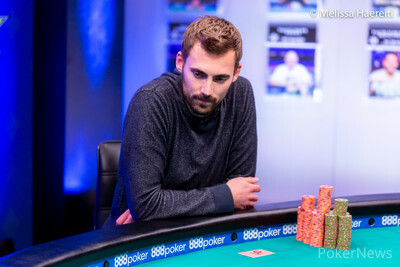 The seasoned cash player overcame a tough final table that included Scott Bohlman, who finished in third, and French pro Romain Lewis, who Keijzer defeated heads-up. "I'm very happy. I love PLO tournaments and I came to Vegas especially for that," Keijzer said. "It was really fast. I joined the table with 1.8 million and in 20 minutes I had 4 million... I think my position on the table was just very good with my stack, the other stacks and a lot of ICM pressure." The 26-year-old plays cash games exclusively at home, so a tournament outing is a rare treat, and in this case, it couldn't have been sweeter. Chips were flying around in a matter of minutes once Day 3 action was underway. The first to hit the rail was 2012 November Niner Rob Salaburu, and he was swiftly followed by the likes of two-time bracelet winner Phil Galfond and Alex Bolotin. Pallas Aidinian was one of a small handful of women to enter this event, the only one to advance to Day 3, and she made her exit in 21st place. 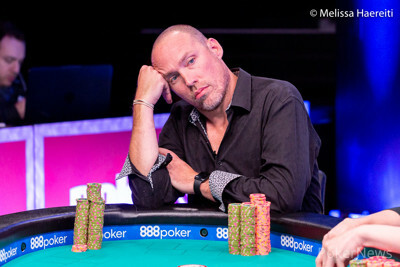 After Matt Stout fell in 19th, the remaining 18 players redrew for the final three tables. Three-time bracelet winner Brock Parker departed in 17th place when he got his stack in with three Broadway cards headed by a suited ace only to see Scott Bohlman's low three-card rundown make a straight to send him packing. Jan-Peter Jachtmann was the next to go. He made his exit when he flopped trip eights and got the chips in against Martin Kozlov, who had flopped a flush draw and caught up on the river. However, Kozlov lost a huge pot to Romain Lewis shortly thereafter, and busted in 13th when Lewis made the nut flush to Kozlov's jack-high flush, with all the chips going in preflop. After the two-table redraw, Irish player Dermot Blain was the next to go. He got his stack in the middle preflop with a king-high rundown but Mohammad Abedi made a winning straight by the time the last card fell. Blake Whittington, who began Day 3 just a hair under the chip lead, busted in 11th when Abedi cracked his aces with king-nine-seven-five after the two players got stacks in preflop. 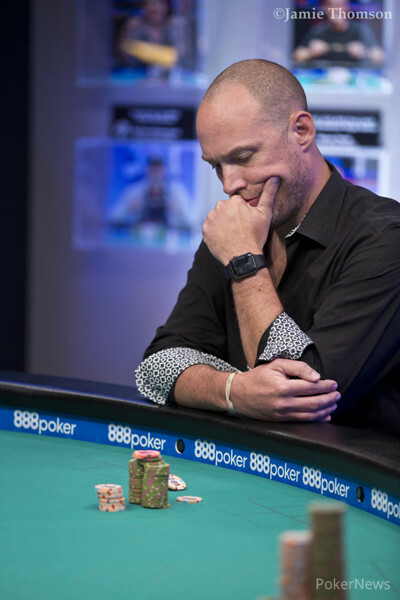 German bracelet winner Christopher Frank departed in 10th when he flopped an open-ended straight draw but couldn't improve against the eventual winner's overpair. Jonathan Depa fell next when he got the chips in preflop with dry kings, Keijzer flopped a boat, and the turn and river were blanks. The next casualty was another one of Keijzer's; Ben Palmer got the last of his short stack in preflop with aces only to see Keijzer flop the nut straight (the turn and river were irrelevant). The final seven players took their dinner break before the action at the unofficial final table got underway on the Brasilia stage. After they reconvened, PLO bracelet winner Tommy Le was dispatched by Ryan Lenaghan. The two players got stacks in before the flop, and although both had made a flush by the time the final card fell, Lenaghan's was queen-high and Le's was ten-high. However, Lenaghan's good fortune didn't last, and he was eliminated in sixth when he ran into Bohlman's flopped set of eights holding just a pair of aces. James Chen was Keijzer's next victim; he departed in fifth place when he got his stack in preflop with kings, the eventual champion flopped a king-high flush, and the turn and river were no help. Mohammad Abedi busted in fourth when he got his chips in with a flopped open-ended straight draw against Keijzer's pair of kings and couldn't improve. Scott Bohlman, who won his first career bracelet earlier this summer, ended up as the third-place finisher. Although he had the chip lead early in three-handed play, he eventually got his stack in preflop with aces against Romain Lewis, who held a suited ace with a pair of jacks and made a flush to take the pot. Heads-up play was relatively short. It was a straight-versus-straight confrontation that ended it all; Lewis flopped a wheel wrap that filled in on the river, but Keijzer had turned Broadway and snap-called Lewis's river jam to end the tournament. Although this was the final PLO tournament of the 2018 World Series of Poker, the no-limit hold'em/PLO mix is ongoing, and of course, the Main Event is ongoing with Day 7 on the horizon. Keep it here for continuing coverage of the rest of the action, brought to you by the PokerNews Live Reporting team. Romain Lewis raised to 300,000 from the button and Ronald Keijzer called from the big blind. The flop came and Keijzer checked. Lewis bet 350,000 and Keijzer called. The turn brought the , Keijzer checked, Lewis bet 800,000, and Keijzer called. The hit the river and Keijzer checked a third time. Lewis shoved and Keijzer instantly called with a covering stack. Lewis showed , having flopped a wheel wrap that filled on the river, but Keijzer tabled for turned Broadway to take the pot and end the tournament. A recap of the day's action will be posted shortly. After a handful of pots that haven't seen the chips getting in the middle, the first significant hand emerged when Ronald Keijzed opened to 250,000 and Romain Lewis defended his big blind. Lewis check-called another 250,000 on the flop and the turn came . Lewis checked and Keijzer fired a second barrel worth 750,000. Lewis paused and then matched the price. The fell on the river and both players tapped. "Just an ace," Lewis said, showing . Keijzer quickly rolled over for two pair, kings and fives and increased his chip lead. Romain Lewis raised to 300,000 from the button, Scott Bohlman three-bet to 1,000,000 from the small blind, Lewis four-bet, and the rest of the stacks quickly went into the middle. Bohlman had the preflop advantage with his aces and Lewis needed to improve in order to stack him. The board ran out which gave Lewis the winning flush, so he took the pot to end Bohlman's deep run in this event. Scott Bohlman opened to 250,000 on the button and Ronald Keijzer called in the small blind before both checked the flop. Keijzer checked again when the appeared and Bohlman tossed out 500,000. Keijzer double checked Bohlman's remaining stack and then announced he was raising the maximum. Bohlman threw his cards away within a second. Romain Lewis raised to 325,000 from the button, Ronald Keijzer three-bet from the big blind, Lewis four-bet, and Keijzer called to put himself at risk. Lewis was ahead with the higher pair and Keijzer needed to improve to survive. The board ran out to give Keijzer a flush to take the pot and double through Lewis. Ronald Keijzer completed from the small blind and called when Romain Lewis made it 300,000. They saw the hit the felt and Lewis fired another 450,000. Keijzed called and the turn and river were both checked through. Lewis exposed for a nut straight and that secured him the pot as Keijzer didn't have diamonds. Ronald Keijzer completed the small blind and Romain Lewis checked his option. The flop came and each player put in 125,000. The turn brought the and Keijzer checked. Lewis bet 410,000 and Keijzer called. The hit the river and both players checked. Keijzer tabled and his hand was good enough to win the pot.